Rosh Hashanah and Yom Kippur are right around the corner, and these fall holidays are an important time for families to come together. But when you visit an elderly relative, pay close attention – you may notice some changes in their behavior. Dementia refers to a group of symptoms associated with severe mental decline, such as memory loss, impaired judgment and impacted communication skills. Alzheimer’s disease is the most common cause of dementia in geriatric patients, accounting for between 60 and 80 percent of all reported cases. Alzheimer’s (or any form of dementia) is not a natural part of aging – age is simply a risk factor for a condition that should be addressed and treated, not ignored or allowed to progress without care. Every person is different, and you know your family best – use your judgment as you consult a health care professional to determine whether any behaviors are out of the ordinary. Home Health Care is best for those who have recently been hospitalized, who are undergoing rehabilitation, or who have a change in condition. 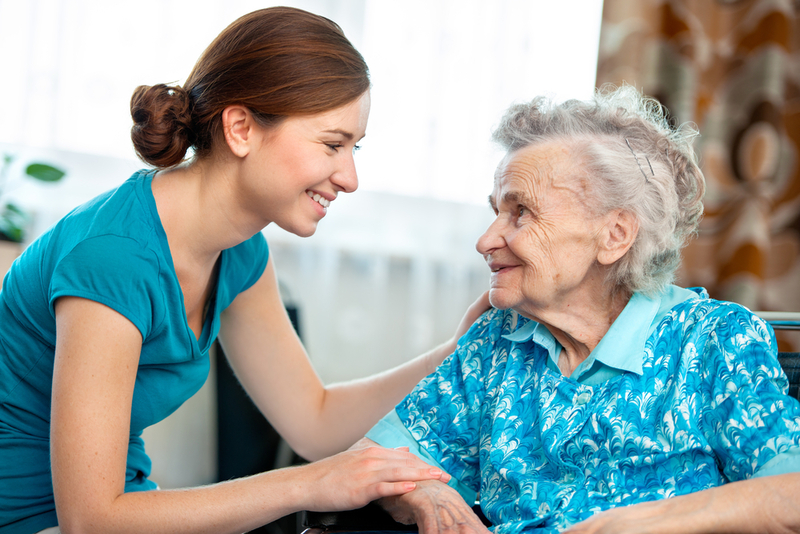 Home Health Care is a specifically medical service that focuses on therapies and nursing. In-Home Care is an excellent option for those living with Alzheimer’s and dementia. In-Home Care professionals are equipped to provide support with all aspects of daily living: bathing, dressing, toileting, cooking, medication reminders, in addition to errands, laundry and cleaning. The In-Home Care professionals referred by La Nurse Home Care Registry can help seniors with Alzheimer’s maintain a sense of normalcy, leading their lives in their home rather than moving into an assisted living facility or a nursing home. Clients will receive one-on-one attention and assistance from their caregiver while remaining in their familiar surroundings and continuing to do the activities they love. The holidays are an excellent opportunity to have an honest conversation with a loved one in your life, and In-Home Care from La Nurse Home Care Registry is an option that maintains their independence while securing your peace of mind. For more information on how we can help those living with Alzheimer’s and dementia, please call 561-279-9885 or visit us online.